Iranian master Abbas Kiarostami's passing in 2016 was very unexpected. Among all the cultural luminaries who passed on recently, personally Kiarostami's death really saddened me the most. His deeply humanistic, genre and form transcending cinema has been truly unique and inspirational to my cinematic education, so his death was a devastating blow. So when I heard the news of 24 Frames, the film he's been working for 3 years, unfinished at the time of his death, is going to be released with the help of his son Ahmad, I was more than eager to see the late master's final work. And it's as usual, infinitely wise and achingly beautiful unlike anything. Kiarostami's idea for 24 Frames is simple - try to bridge the gap between painting, photograph and moving pictures: we go great length to capture one still moment. That instant is frozen in time forever. But what about before and after that moment? They are usually easily discarded from and forgotten in our memories. 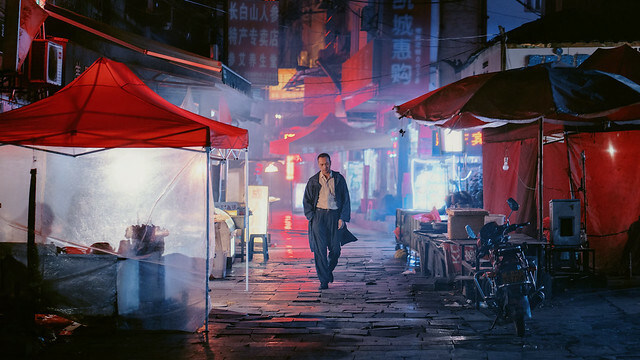 Cinema as we know it, can prolong that moment for a little longer, to help us in imagining the narrative, in contextualizing the content within the frame a little more. Comprised of 24 4 1/2 minute static shots, the film most resembles his 2001 film, Five, where he held his camera to 5 static scenes in various length. And it's the same minimalistic approach without human presence (except for two scenes) he applies here. 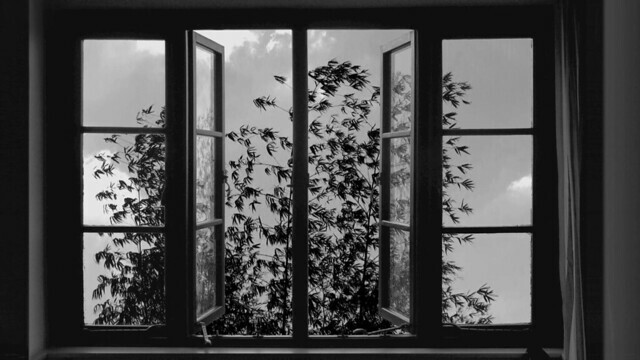 24 Frames is, in large part, a collaboration of Kiarostami and visual effects artist Ali Kamali. Based on Kiarostami's photographs and videos, Kamali was responsible for digitally creating the multilayered images. Frame 1 is the famous winter landscape painting: The Hunters in the Snow by Pieter Bruegel. Accompanied by the sound of hounds, wind, footsteps, and people playing on the frozen lake below, we see subtle animated movements - smoke billowing out of chimneys from down below, birds flying across the frame, one of the hounds coming alive and trots and pees on the tree, etc. while certain elements stay frozen, like the hunters themselves and the pheasant flying across the sky. Once again, Kiarostami offers us the chance to contemplate on various things - the power of our imagination, fleeting nature of time, immortality of art...all in one single frame. I've often noticed that we are not able to look at what we have in front of us unless it's inside a frame. As he championed shooting from the moving car throughout his films, one scene is dedicated to the snowy landscape outside the car window: a couple of horses run parallel to the moving car, we lose the sight of the horse as it lags behind. The car stops, the automatic window rolls down, the horses reappear. Now we are presented with two horses playing around in the blizzard through the car window. After a while, the car moves on. Humans are not in the frame most of the times but with the sound of gun fire of hunters in many of these scenes, you can feel their presence. I don't think Kiarostami necessarily makes a nuisance out of humans or a threat to nature, he seems to say that this is the life as is, with us in it. But as always the case with Kiarostami's films, 24 Frames is only deceptively simple- there are a lot more layers than what meets the eye. These animals' behaviors, whether playing, fighting, cheating, waiting or moaning, resemble our behaviors closely. And they provide a lot of humor because of that. There is a funny frame of a group of Iranian family looking at the Eiffel Tower from a distance, with their backs toward us. At first we don't know if this frame is a photograph or not. The voices from the crowd, then people working by in the foreground follows. It's another intoxicating concoction by the master: mixing the idea of 'the window to Paris' and current climate of immigration in the first world since it's hard to determine where this scene takes place. The whole film closes with the powerful and one of the most striking images in cinema. Image can't move people is a lie. Accompanied by Andrew Lloyd Weber's "Love Never Dies", the last 'frame' will go down in cinema history as perhaps one of the most iconic and most beautiful imagery in history. It's even more sublime than the last scene of his film Taste of Cherry which ends with Louis Armstrong's "St. James Infirmary". His son Ahmad did an admirable job choosing these 24 out of 30 'frames' or so Kiarostami considered using in the film. The film is a great testament to his being as an artist and as a person. It's easily the best film I've seen this year so far.